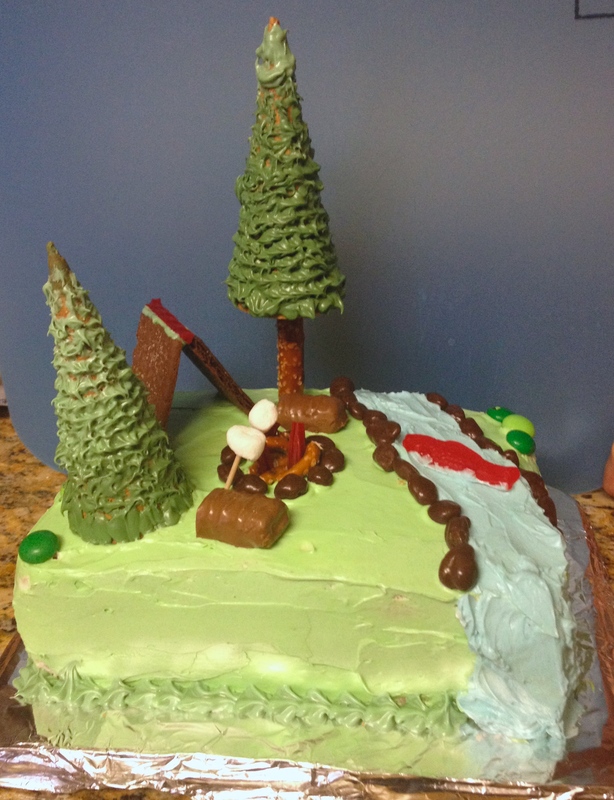 The best part about being so behind on these posts is going through projects of the past and reminiscing on the celebratory (or just because) event for which the baking was done. In this case, a Birthday! Lauren’s birthday, to be exact. 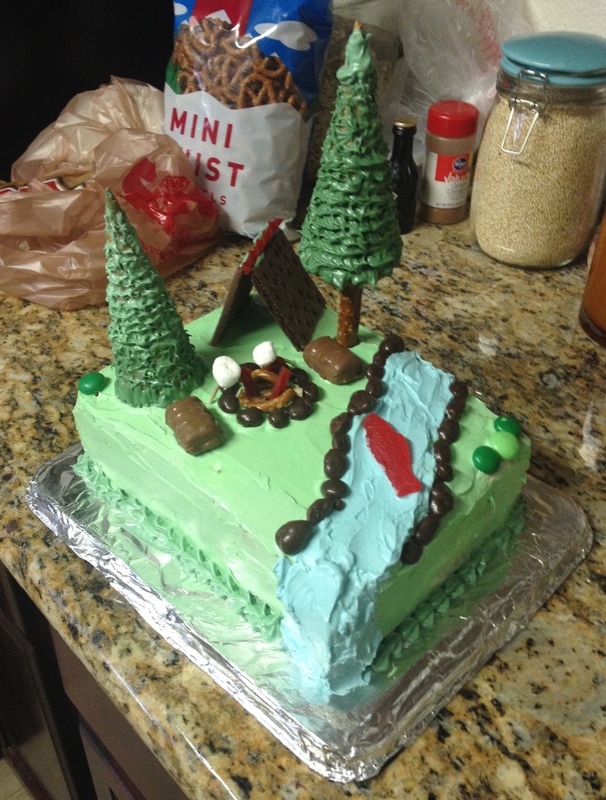 Since she is such an outdoorsy & adventurous person, Meg and I thought it would be fun to do a camping theme! I didn’t take too many process photos this time, but I thought the end result was fun (and tasty). Here is the cake- it’s a two layer vanilla cake with swiss meringue buttercream filling. I think we just cut a 9″x13″ cake in half and stacked it. The trees were sugar cones covered in green frosting (piped with the leaf tip). The tree trunk was a pretzel rod, and the whole thing held together surprisingly well. We had to have a creek lined with Raisinet stones, a chocolate graham cracker tent, and a fire pit made of pretzel pieces and more Raisinets. The logs were Twix bars, cut short.